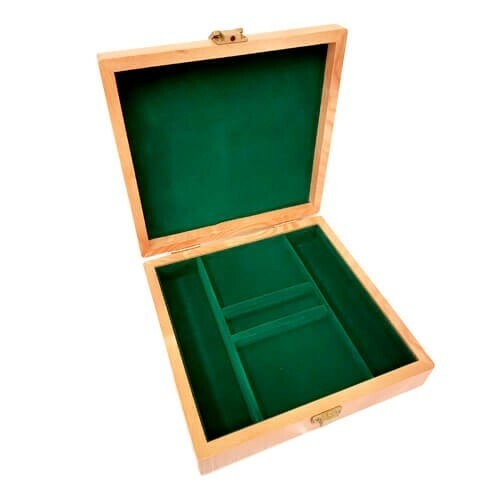 Elegant Oak Poker Chip case is a perfect case to store your custom poker chips. Made of real wood (not MDF or particle board), this case will last a lifetime. This case includes 100 blank clay chips for a limited time. 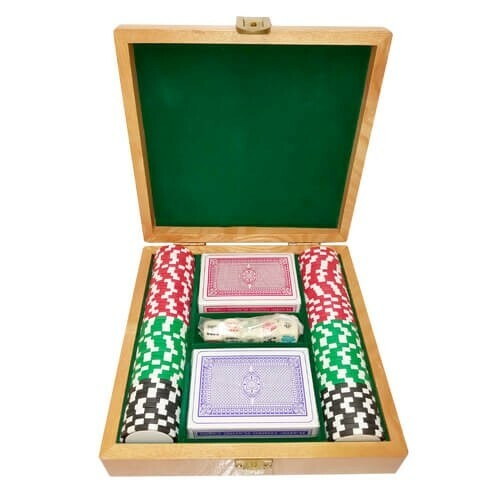 If you order 100 custom poker chips, you can receive this case for FREE... Looking for a Custom Poker Chip Set? Right now, this case is FREE with the purchase of a 100 Custom Poker Chips Set. The flat surface is perfect for engraving or custom printing!